General Motors Canada will likely hire fewer people than originally thought at its Oshawa, Ont., assembly plant as a result of cutbacks in car production, a local Unifor official said. About 600 workers are on layoff while GM extends its one-shift operation at the plant amid a weak car market in North America, Unifor Local 222 President Colin James said. He said he anticipates the laid-off workers returning to work later this year when the plant ramps up production of Chevrolet Silverado and GMC Sierra pickup trucks. The plant also builds Cadillac XTS and Chevrolet Impala sedans. “Once the truck [production] goes to two shifts, I’d imagine rather than the negative impact of having people on layoff, we’ll move them over to the truck line,” he said. 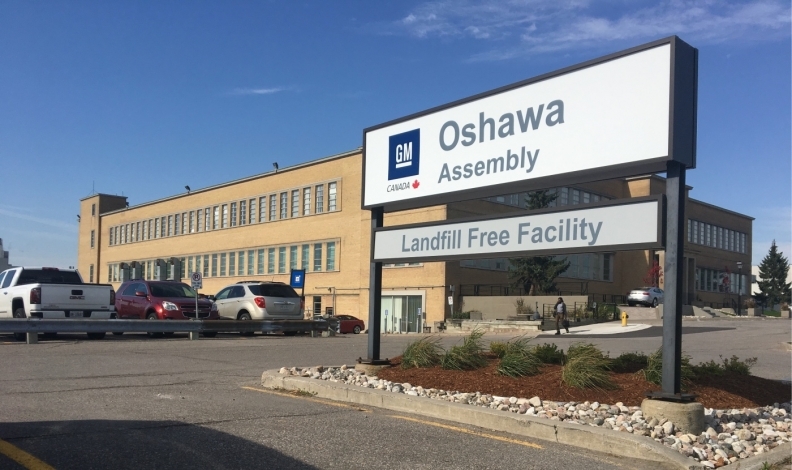 James said moving workers who would otherwise be building cars over to Oshawa’s truck line will likely result in fewer new hires at the plant than what was originally planned. Unifor officials said last year they anticipated GM hiring about 500 workers as truck production ramped up at the plant, which employs about 2,570 workers. GM is continuing its one-shift operation at the plant through May 28 in the face of sharp declines in North American car sales. It builds the XTS and Impala on its flex line. Earlier this year, it also began final assembly on unfinished Silverado and Sierra pickup bodies shipped to Oshawa from Fort Wayne, Indiana, on its consolidated line, which GM recently spent about $500 million on to retool. GM Canada spokeswoman Jennifer Wright would not confirm any details, though she acknowledged the automaker is having to adapt to the marketplace. GM stopped production of the XTS and Impala at the plant for three weeks in January before starting production again on one shift per day, instead of the two it had previously operated on. The one-shift operation was originally set to last only through the first quarter. The move comes amid a weakening market for cars in the United States and Canada, where pickups and utility vehicles have been gaining momentum. Sales of the XTS in the U.S. dipped 27 per cent from a year earlier to 16,275 units in 2017, according to the Automotive News Data Center in Detroit, while Impala sales fell 22 per cent to 75,877 units. Canadian deliveries of both vehicles rose last year, though not by enough to offset declines in the United States. GM is expected to ramp up production of the Silverado and Sierra pickup trucks later this year. The plant began final assembly and painting on pickup bodies shipped from GM’s Fort Wayne, Indiana, plant in January. The plant will build about 60,000 trucks annually, GM CEO Mary Barra said last year. The pickup production was secured as part of a four-year labour contract the automaker reached with Unifor in 2016. The pickups replace assembly of the Chevrolet Equinox crossover on the plant’s consolidated line.